Hello Friends of Mills River Partnership! We are excited to announce another great volunteer opportunity coming later this month. We will be hosting another live-staking river event on Thursday Janurary 31st, 2019 at Mills River Park. 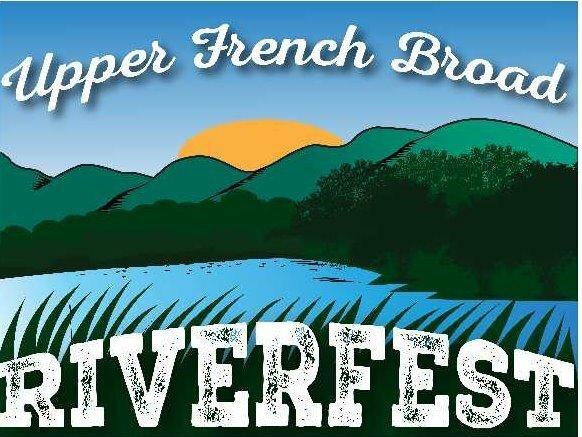 Please contact us at: acmillsriverpartnership@gmail.com to sign up for this event! By Garret Dufty, Oct. 29, 2019. We had such a great time on our annual Heritage Tour, with Mills River Keeper, Jere Brittain. 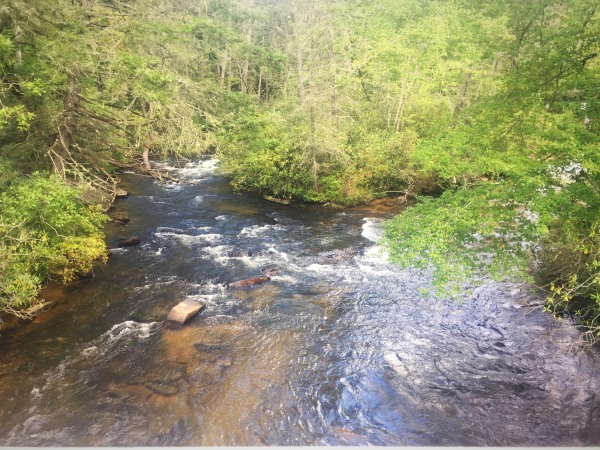 We did a 2-mile walk along the banks for the Mills River and Mr. Jere showed us historic sites, such as churches and gunsmiths. We got to enjoy the wonderful fall colors with the mountain backdrop, while learning about the history of the Mils River Community. It was certainly an event to remember! Saturday, September 23 we were at the first annual DuPont Forest Festival! Our activity was “Science in the Water” and was a hit with both kids and adults. We did various activities to explain the importance of river and stream qualities. 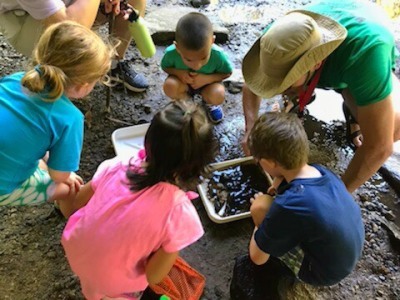 We studied the aquatic macro invertebrates, crustaceans, and amphibians we found in the stream and explained the importance of biodiversity in our waterways and how it is integral to stream quality. 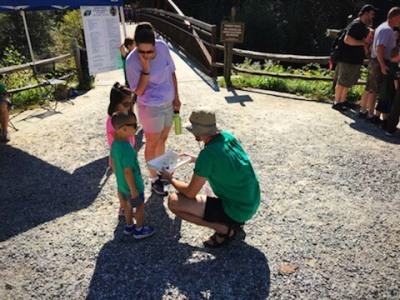 Thanks to Friends of DuPont Forest for putting on this amazing event! Saturday, September 8th our team of 15 volunteers joined Asheville Greenworks in their annual French Broad Big River Sweep. 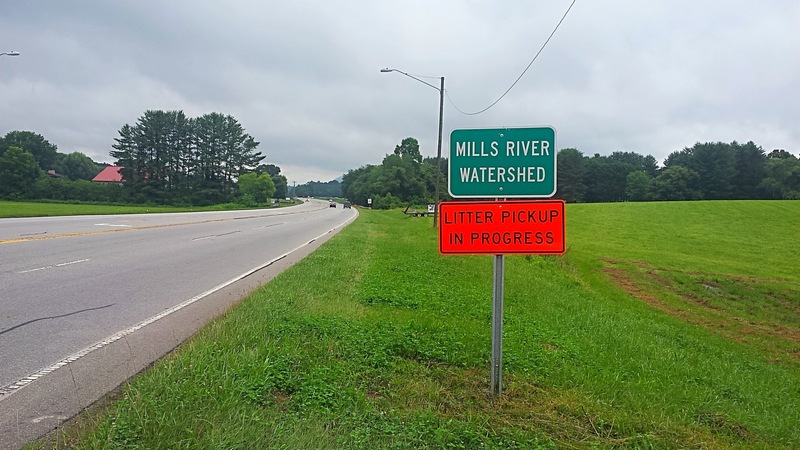 Our team started down the Mills River and worked our way into the French Broad, picking up items like plastic and styrofoam to tires and even a car bumper! In total, there was more than 120 volunteers who filled an entire dumpster worth of trash! What a great turnout for such an important event to keep our watershed clean.